Speaker: Alexander Kamb, Amgen Inc. If we can describe the 20th century as the era of engineering and physics, it is reasonable to think that the 21st century will bring comparable changes in biology and medicine. Indeed, some notable breakthroughs are already apparent. I will discuss the ways that technology is revolutionizing the world of biology, with a special focus on the application of applied science to medicine. I will include examples that originate specifically from our work at Amgen, a biotechnology company whose history is linked with Caltech. Alexander Kamb has almost two decades of experience in the biotechnology sector (including founder of one company) and the biopharmaceutical industry. He specializes in genetics, structural biology, neuroscience and oncology. He has published widely in these areas with nine peer-reviewed papers in the Science and Nature journals, including the most highly cited scientific publication of 1994. Dr. Kamb received his A.B. from Harvard University and his Ph.D. from Caltech. As a postdoctoral fellow at UCSF with Harold Varmus and Robert Stroud, Dr. Kamb invented a broadly applicable method for cloning gene family members (Kamb et al., PNAS 1989). He also solved crystal structures for the cancer drug target thymidylate synthase (Kamb et al., Biochemistry 1992a; Kamb et al., Biochemistry 1992b). In 1992 he joined Myriad Genetics, focused on identification and commercialization of human disease genes/diagnostics. During the next few years, he led the Myriad teams that cloned the major familial breast cancer genes, BRCA1 (Miki et al., Science 1994) and BRCA2 (Tavtigian et al., Nature Genetics 1996), and the major familial melanoma susceptibility and multiple tumor suppressor gene CDKN2 (Kamb et al., Science 1994). All these genes were commercialized by Myriad as proprietary diagnostic tests. He founded a biotechnology company in 1996 (Arcaris), specializing in somatic cell genetics, which was sold in 2003, whereupon he joined Novartis as Global Head of Oncology. In 2006, Dr. Kamb joined Amgen to direct oncology research at their South San Francisco site. In 2007 he took over the leadership of the Neurosciences Therapeutic Area. 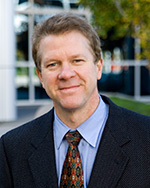 In February 2010 he was promoted to Vice President, Research, Neuroscience. In 2010, he also established a new, independent group within Amgen Research called the Genome Analysis Unit, focused on cross-therapeutic-area strategic deployment of ultra-high-throughput DNA sequencing technology. In 2011, he was promoted to Senior Vice President, and currently heads Amgen’s entire discovery research organization (~1000 FTEs).